Audioquest Pearl HDMI review | What Hi-Fi? 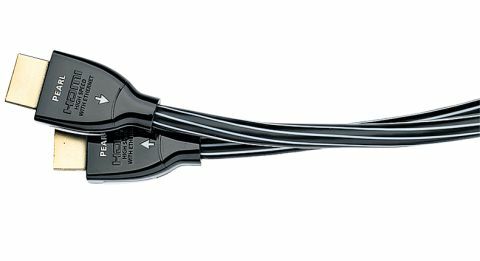 Winner of last year’s Best HDMI cable Award, this Audioquest remains a formidable opponent. At £26, the Pearl is one of the more wallet-friendly HDMI options. But it’s a top performer, offering a spec that includes 3D capability, audio return channel and ethernet compatibility. It enables your equipment to put out sharp and stable images. The level of detail is impressive, and it has a secure grasp of motion. The colour palette looks natural while the sound has good dynamic range. If you want to make the most of your home cinema set-up, you’ll want to invest in a good HDMI cable. And what better than an attractive option that offers excellent value for money? As a first upgrade, it gets our seal of approval.